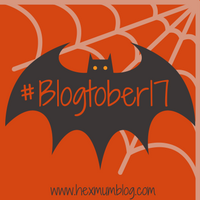 #Blogtober17 Day 2: “Babies” – Cindy T. Graham, Ph.D. Occasionally I am asked what is the youngest child I have ever seen for therapy. Answer: 14-months-old. Technically the sessions were mainly parent sessions (where I provide education, training, and feedback to the parent(s) of the child). So in terms of one-on-one, I have worked with kids as young as 18-months-old. You are probably wondering what a child at that age would need with psychotherapy. Some kids struggle, even at an early age, with behavior problems. Keeping in mind what is appropriate for kids that age, there are kids who display a more severe pattern of outbursts. The therapy techniques I use with young kiddos can include teaching methods of communication that work for the child (such as sign language, picture cards, electronic devices), waiting and turn taking, and play skills. Teaching these skills helps to reduce the frustration kids feel when their needs are not getting met by giving them a way to express themselves. With my own children I started teaching them “baby” sign language at an early age. Once they were being introduced to solid foods, I began introducing them to sign language. During their meals I taught each of my boys to sign “more”, “finished”, “eat”. They were consistently signing for more by 7-months of age.